This page requires the Flash Player plug-in. "ONE OF THE GREAT CLARINETISTS OF OUR ERA" Danny Stiles ,WNYC Radio, New York's premier Public Broadcasting System. 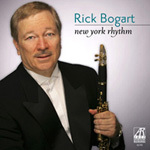 93.9FM AM 820 Rick Bogart is one of the most active jazz clarinetists in the world today. With a mellow sound on the clarinet and a unique vocal style he appeals to the general public. He recently completed an 'unbelievable' engagement at New York's Parker Meridien Hotel in Seppi's to much critical acclaim in radio, television and print, playing five nights a week for with his trio for eight years. Master class at Donetsk National University, Ukraine with concerts in Donetsk and Kiev sponsored by AMS Corporation and TGI Friday's, USA. United Nations, New York--- Concert , The Rick Bogart Quartette and afterwards - Question and Answer Session with the UN Jazz Society. East Harlem School of Performing Arts- Workshop on Jazz and Improvisational for teachers and students. Guest Clinician-- Jazzmobile, Harlem, New York Clinician-"Jazz at Lincoln Center " in conjunction with classical clarinetist Gervase de Peyer a founding member of the Lincoln Center Chamber Society. Rick has performed in sixty-five countries, composed and played for many major movies and has performed for many of New York's most prestigious charity events in the main Ballrooms of the Plaza Hotel, The New York Hilton and the Waldorf Astoria. In March 2011 Rick Composed his Ballet the "Jazz Dance" for solo clarinet and solo dancer. In May of 2011 it will be released by Arabesque Records putting Rick in a rare category- having releases in the jazz and classical field. 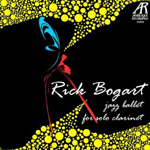 Rick Bogart is an Arabesque Recording Artist. 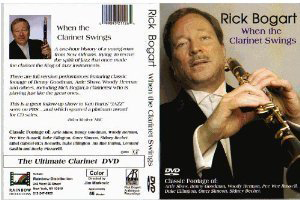 New Orleans Jazz Festival Tri C Jazz Festival- Cleveland Subject of the Documentary "When the Clarinet Swings'' featuring Rick along with vintage footage of Benny Goodman, Artie Shaw,Woody Herman Pee Wee Russell and many Notable clarinetists of the swing era. It has played on PBS and Arts channels in Europe. Played for George Bush in the Starlight Room of the Waldorf Astoria and on a separate occasion played for Colin Powell in the Starlight Room of the Waldorf Astoria-- (photos in photo gallery.) Record setting engagement in New York at Seppi's in the Parker Meridien Hotel- playing with his trio five nights a week for eight years- to critical acclaim. Acclaimed by Danny Stiles of WPAT and WNYC Radio as ''One of the Great Clarinetists of our era.'' In 2010, played for one of New York's major charity events sponsored by Macy's and Bloomingdale's for The Fashion Institute and The University of Arizona in the Grand Ballroom of the New York Hilton and in 2011 in the Grand Ballroom of the Plaza Hotel for NYC and Co. to promote tourism and the Arts in New York with Mayor Michael Bloomberg. ( on youtube.com under Rick Bogart at the Plaza) Opened the New Empire Room in the Empire State Building. A featured performer at the 'Theatrical' in Downtown Cleveland. (1980's) In New Orleans, the youngest bandleader in the history of the Famous Door, which was home to many famous New Orleans musicians such as, Al Hirt, Pete Fountain, Louis Prima, Murphy Campo, Bris Jones, George Girard, Sharkey Bonano, Santo Pecora, Milton Rich and Thomas Jefferson with whom Rick worked with as a clarinetist in his band and was one of Rick's favorite musicians of all time. (1970's) Was a regular performer at Harrah's in Atlantic City and Harrah's in Joliet for twelve years- one of the longest running jazz acts in the city. Also played at Bally's in Las Vegas during that time. 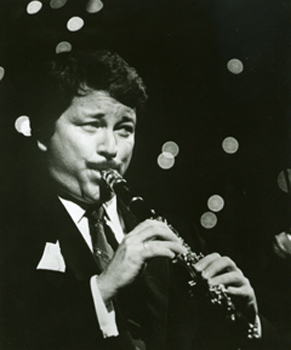 (1980's) In 2011-Rick composed and performed his Ballet, ''The Jazz Dance'' for solo clarinet and solo dancer. In May, it will be released by Arabesque Records.